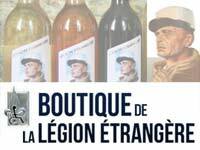 Learn about transportation companies of the French Foreign Legion serving in then Indochina during the First Indochina War (1946-54). Almost unknown units, even in France, these companies were greatly appreciated by combat troops because of their high importance in the ongoing war. Between October 2-20, a multinational airborne joint exercise, Swift Response 2017 – Phase II (17-2), occurred in Germany. Legionnaires from the 2nd Foreign Parachute Regiment (2e REP), the only airborne unit of the French Foreign Legion, participated in. Legionnaires from three Foreign Legion regiments are participating in Bold Alligator, a joint multinational warfare exercise organized by the United States. About 14 foreign nations’ forces joined the exercise in North Carolina this year. The exercise starts today, October 18. On October 7, 2017, 4th Foreign Regiment (4e RE), the training unit of the French Foreign Legion, organized the 40th half marathon at Castelnaudary, its garrison town in southern France. 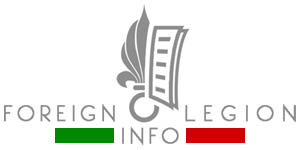 Formed in February 1940 and then once again in July of the same year, the 13th Demi-Brigade of the Foreign Legion (13e DBLE) remains the only demi-brigade within the current French Army. During WWII in the Middle East, Africa and Europe, the unit gained various awards and decorations. The 13e DBLE continued in fighting for France and in receiving decorations in Indochina and Algeria between 1946-62. 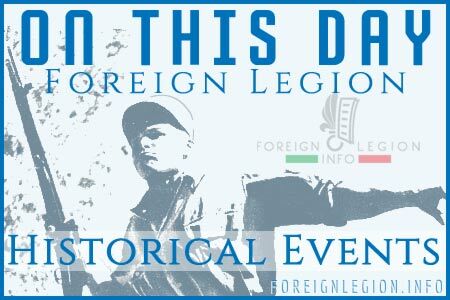 In mid-September 2017, the 3rd Foreign Infantry Regiment (3e REI) commemorated the 99th anniversary of the battle on the Hindenburg Line. See the video showing the regimental holiday at Quartier Forget, the main headquarters of the regiment based at Kourou, French Guiana.